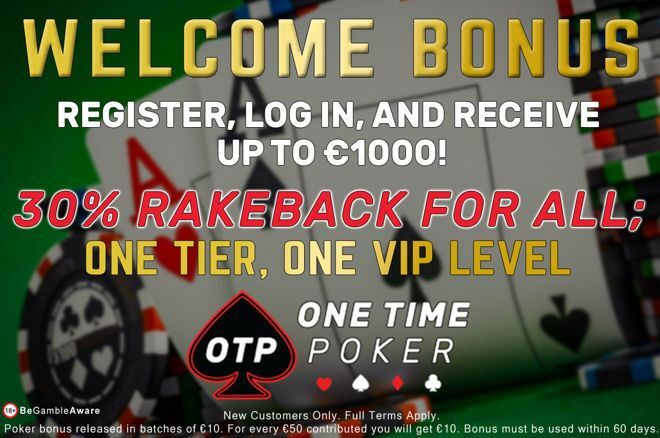 One Time Poker OneTier VIP program offers everyone 30% rakeback and a €1,000 welcome bonus! 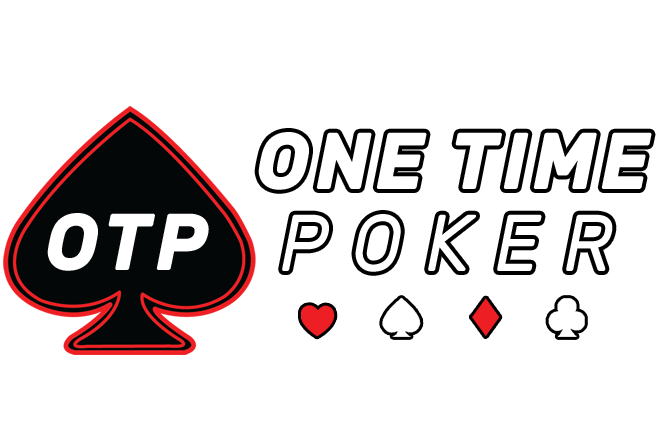 Last month, the launch of One Time Poker (OTP) on the Microgaming Poker Network (MPN) was announced. Now, we are beginning to see the prowess of their experienced team as the site is ramping up its marketing and promotions. That includes a OneTier VIP program where everyone automatically receives 30% rakeback and a €1,000 welcome bonus! "And hey, who doesn’t love FREE MONEY!" First, we reported on OTP’s Become-A-Pro contest, which is ongoing through the first week of May. You can check that out here and still have plenty of time to chase your pro dreams as this contest is quality based as opposed to volume based. Now, Pro Ambassador Captain Danny Noseworthy has launched a private tournament schedule, exclusive to OTP players, which boasts thousands of euros of OVERLAYS. Sign up and check out the new schedule with massive overlays (usually above 50%) here, claim your €1,000, and get your welcome bonus and your 30% rakeback dropped automatically every Sunday. OTP seems to be on fire, the hip new place with a cool factor on the poker scene. Ambassadors Sylvia Hewitt and Kate Ivgi have been so popular of late on the UK poker scene; they’ve been asked to start a UK Facebook page. The OTP team sure does seem to be living up to their word, putting the player first and delivering a fantastic user experience. We’re looking forward to seeing what’s around the corner. "Because at OTP; players come first." Time will tell, but OTP is off to one of the hottest starts we've seen in the industry in the last decade. Sign up here for your 30% rakeback automatically dropped to your account every Sunday and your €1,000 welcome bonus, and take part in the MASSIVE overlays! One Time Poker, where everyone is a OneTier VIP! ADVERTORIAL. Sponsor generated content by OneTimePoker.